This was the idea that Joe Koufman, founder and CEO of AgencySparks, hammered home in two of his most recent interviews. Following the interviews with Nathan Latka, of “The Top” Podcast and the Dana Barrett Show on Biz 1190, AgencySparks’ CEO, Joe, spoke about the upcoming changes for the company, the need for AgencySparks in the marketplace, and his entrepreneurial journey. AgencySparks makes connections between brand and agency marketers in a number of ways. One way is by holding quarterly Marketing Breakfasts. Here, Joe’s team listens to the concerns of clients about the marketplace and facilitates introductions in a more personal and comfortable environment. Joe Koufman leading a discussion between Atlanta's top marketing brand and agency executives at the last AgencySparks' Marketers Breakfast. AgencySparks’ culture of connectivity starts internally. Everyone on the team is encouraged to share their ideas and opinions and potential opportunities for the company. He noted Greg Crabtree’s labor efficiency ratio to Latka: the need to bring in 2.5/3.5 in revenue for every dollar spent on payroll. If the ratio is high, his staff needs to increase as to not burn his team out. However, if it is too low, the profitability will suffer from too many employees. AgencySparks' team at a staff bonding event at Escape the Room. Key takeaway: Relationships are everything. How you interact and treat your clients and staff matters. Success is reflective of how relationships are fostered. AgencySparks is continuing to adapt to the need of the market and clients. Since the founding in 2014, AgencySparks has experimented with additional service offerings. 2017 is a big year for AgencySparks, bringing along plenty of changes. Click here to fill out a free, confidential form used as the basis of conversation between brand and agency. AgencySparks is also a valuable resource for marketing agencies. AgencySparks is working on a training series that enables agencies to improve their business development efforts. The web product is scheduled to launch in June 2017. Key Takeaway: Markets and clients will often dictate shifts in service offerings. Companies must evolve so they can thrive. AgencySparks firmly stays true to its values - emphasizing them at every weekly company meeting. Ensuring the entire team is aligned with the values enables the company to remain consistent as it grows. Also, clients like working with companies with compatible values. Key Takeaway: Companies that live their core values tend to thrive more than those that have no clearly defined values. AgencySparks continues to challenge the market to unlock the keys to success. 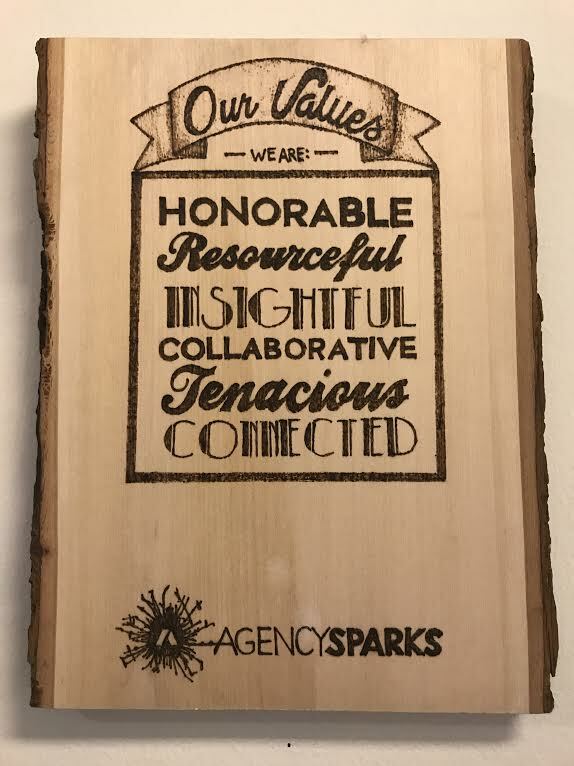 By staying true to the core values, adapting to the market, and constructing solid and loyal relationships, AgencySparks is experiencing significant growth and setting itself up for the next phase of opportunities. As a CEO of a company, if you’re not pulling out the salary that you would be making as a hired CEO, then your business is NOT profitable. Continue to grow your business as much as you can, but be mindful of the interesting offers that come along the way.